For nearly 30 years 3D printing has offered a plethora of industries the chance to disrupt traditional processes. 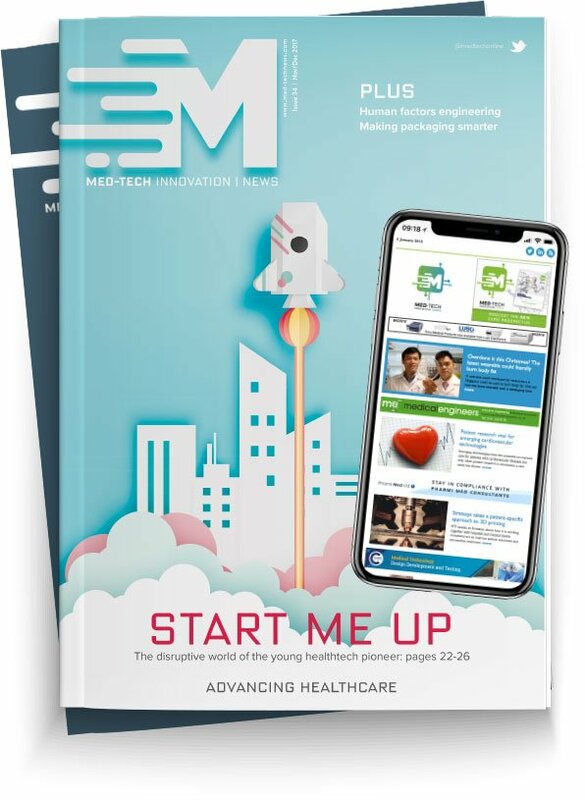 As the healthcare sector seeks to improve, innovate and economise, Scott Rader, general manager of healthcare solutions at Stratasys, offers insight into the technology’s ever increasing importance, and what the future may hold. 3D printing can today produce models and parts across a myriad of industries. From medical models, medical device prototypes, and functional dental applications, to in-flight aerospace parts and high-strength automotive components. These are just a few examples of the vast capabilities of Stratasys’ 3D printing technology and materials, with innovations happening every day. With healthcare industries across the world under political and economic pressure to perform, 3D printing allows manufacturers to cost effectively produce customised medical devices. In addition, we have seen the use of 3D printing become integral to surgical planning. The ability to plan, perform and perfect surgery on a 3D printed medical model prior to the actual procedure offers many benefits. It should directly reduce complications and the amount of time patients spend on the operating table, improving the success rate. This demonstrates that patient diagnosis and treatments are expected to be directly improved by 3D printing. Every facial reconstruction, every prosthetic limb and every surgical guide requires a high level of customisation because no one body is the same. This is one area where 3D printing excels. Surgeons have been able to take patient scans and create 3D models for surgical planning. At the Queen Elizabeth Hospital in Birmingham UK, a patient arrived with a devastating deformity and by utilising Stratasys 3D printing technology, the team could create a unique and exact replica of their anatomy. The hospital has combined the ability to 3D print replicas with the production of cutting guides, allowing the metal plates or bone replacements to match the patient perfectly before the operation. This has resulted in operating room (OR) cost savings of up to £20,000 per surgery, with a reduction in surgical planning time of 93 percent and reduced OR time of three to four hours. At the University Hospital de Bordeaux, France, 3D printed medical models are deployed in the training of the surgeons of tomorrow. For Dr Jean-Christophe Bernhard the ability to have a 3D printed model that accurately represents the affected area greatly improves the ability to precisely convey surgical procedures to students. Stratasys’ multi-material, multi-colour 3D printed models provide the surgeons the access to realistic replicas of the affected areas. Additionally, customers across the world are using 3D printing technology to create functional prostheses. There are hundreds of thousands of patients walking around on knee implants to replace arthritic knees right now and at least one of these parts is 3D printed. In the UK, a similar idea was applied by Ben Ryan, a father who worked with Stratasys technology to create a 3D printed prosthetic for his infant son, Sol, after the wait for a traditional prosthetic on the NHS would have taken years and cost significantly more. Today more and more manufacturers of medical devices enjoy significantly improved lead times and reduced costs using 3D printing technology. Multiple medical assembly tools can be produced overnight compared to several days, or in some cases, weeks if the tooling process is being outsourced via traditional production methods. Traditionally it would have taken 4-6 weeks to manufacture a device in aluminium, but with Stratasys PolyJet 3D printing technology, Worrell, another of our customers, dramatically reduced its lead times to two days for low-volume runs. The toughness and heat resistance of our DigitalABS material has advanced the production of 3D printed injection moulds, as they are now able to withstand the rigours of an injection moulding machine. Most significantly, this enables companies like Worrell to quickly and cost-effectively produce medical device prototype parts in the final production material. In the case of complex, multi-disciplinary surgeries, the use of 3D printed surgical guides dramatically reduces time spent in operating theatres, and simplifies the pre-surgical planning process. Beyond time efficiencies, customers are enjoying a dramatic reduction in costs. In certain cases, some of our own customers have reported cost savings of up to 70%. Beyond surgical guides and medical devices, we are beginning to see 3D printed parts being put directly into patients. At the University of Michigan doctors were presented with a baby who was born with Trachea Bronchi Malaysia (without cartilage in its windpipe). The team then utilised Stratasys’ 3D printing technology to 3D print a scaffold of absorbable material to help the body heal itself. Three patients have benefitted from this treatment and all three are doing fantastically. The healthcare segment is changing rapidly. Stratasys 3D printing solutions are strengthening the segments ability to provide for patients, and shape the future of surgical training. As a leading provider of 3D printing solutions, Stratasys has a responsibility and ethos of shaping people’s lives by revolutionising the way things are made. This is no more evident than in the world of healthcare.